Car accidents can cause a wide variety of serious injuries, including open head injuries. Even minor head trauma can cause long term and even permanent damage. Head injuries can be open or closed head injuries. Both types of injuries can have debilitating and life changing consequences. In this post, our St. Louis auto accident attorney will talk about open head injuries from car accidents. Open head injuries are always serious, and often require a long hospital stay and long term care and treatment. Car accidents victims who suffer an open head injury generally require physical or rehabilitative therapy. If the head injury is serious enough to cause serious damage, the victim may have to stay off work for a long time and face huge medical bills. This type of head injury can also lead to permanent disability. If a person suffers head trauma in a car accident, they should get immediate medical attention. The treatment of an open head injury from a car accident will typically depend on the severity and type of damage. While open head injuries occur less frequently in car accidents, they are almost always very serious. 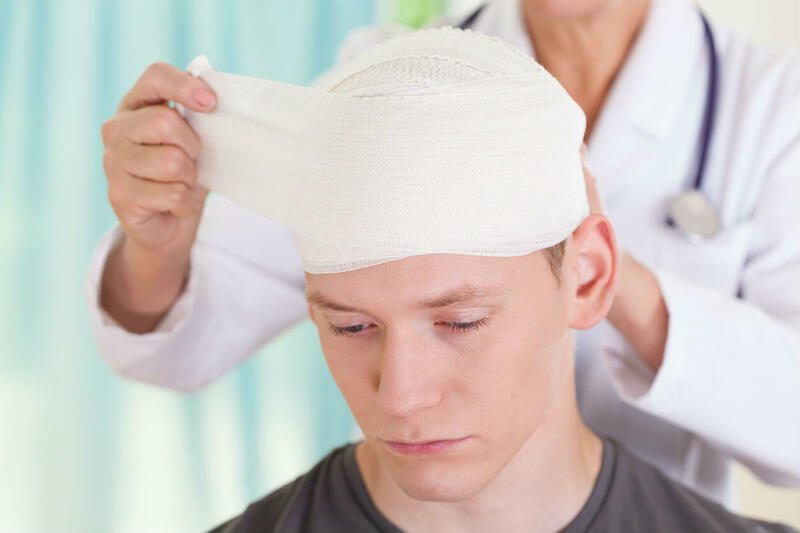 The severity of the head injury depends on factors such as exact location of the injury on the head, the angle and force of trauma and the physical characteristics of the object that caused the trauma. As we said earlier, open head injuries can prove really expensive. The victim will likely face mounting medical bills and may be unable to return to work for a long time. It is therefore important to seek legal help from a competent St. Louis car accident lawyer, who can help recover adequate damages for the injuries.